Search Engine Optimization, popularly known as SEO boosts up and optimizes the visibility of the websites by combining various strategies as per the business needs. It is done by assimilating search engine friendly components into it. On Page Optimisation as the name suggests, includes website’s elements. In other words, escalation of the factors such as HTML code, Meta tags, Textual content, Keyword placement and density. Off Page Optimisation includes back links which improves the position and ranking of the website in SERPs (Search Engine Results Page). Our digital marketing experts, will offer the strategies which are simple, transparent and as per your needs and specifications. We combine the elements of both on-page and off-page strategies in such a way that you will notice higher rankings of your website. We don’t commit indefinite and unclear estimates rather, we love to keep it straight and we promise to support you in setting up your online business successfully. 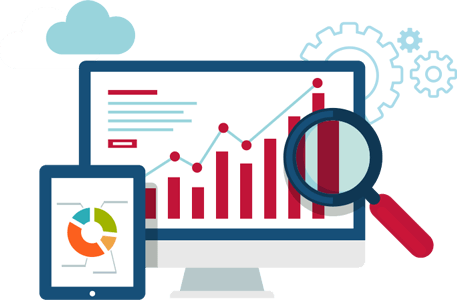 Our SEO team is well versed with numerous strategies which can optimize your website for search engines which allows potential customers to visit your website and view the services offered by you.